In 2043, people of color will be over 50% of the U.S. population. We harness the power of racial & ethnic diversity to transform the U.S. environmental movement by developing leaders, catalyzing change within institutions, and building alliances. Congratulations to the most recent Environment 2042 Leadership cohort graduates! These leaders inspired us every day and brought hope, curiosity, compassion, strength, honesty and a strong sense of community to our 6 months together. We have already begun planning our next adventures which will include a service project, a camping trip and more learning opportunities. We want this to be the year in which all of our collective work tips the scales on diversity, equity & inclusion initiatives in the environmental movement. The Center for Diversity & the Environment grew out of the belief that everyone has a place in the environmental movement. Everything we do at CDE supports this vision of inclusivity. 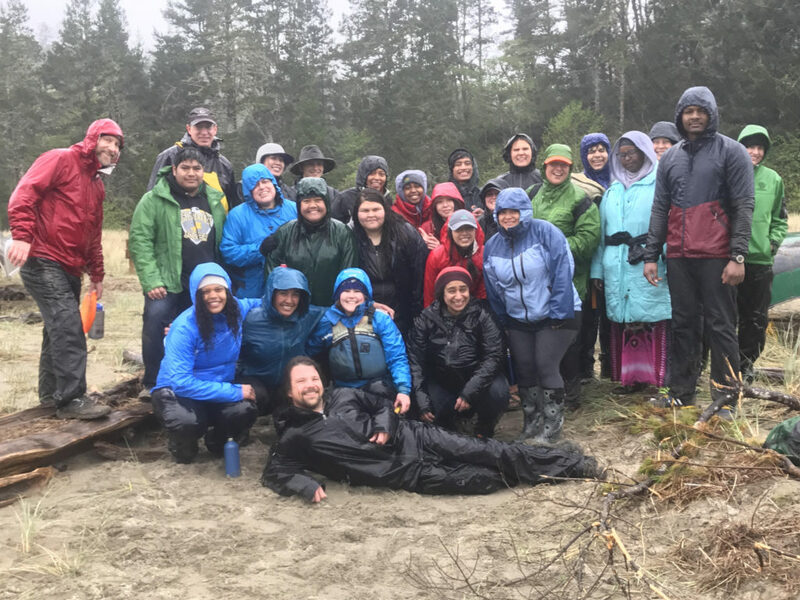 We build bridges between communities of color and the environmental community, fostering a fundamental revolution of the environmental movement–into an equitable, inclusive, and diverse coalition of people at work on a wide array of environmental issues. We believe that diversity strengthens and enriches our work and makes the environmental movement more relevant than ever. Alumni of our programs carry this work forward and out into their communities: they are the change agents and ambassadors of the changing face of environmentalism. We envision a healthy, flourishing planet and society that sustainably and equitably meets the needs of all through an environmental movement that is diverse, inclusive, successful, vibrant, and relevant, taking into account the needs, perspectives, and voices of all. The Center for Diversity and the Environment harnesses the power of racial and ethnic diversity to transform the US environmental movement by developing leaders, catalyzing change within institutions, and building alliances.